This stuff is just amazing. I adore it! The coconut milk and sugar makes it a little heavy on the calories, but I justify the splurge by reminding myself that the black rice is chock full of antioxidants, even more than blueberries! 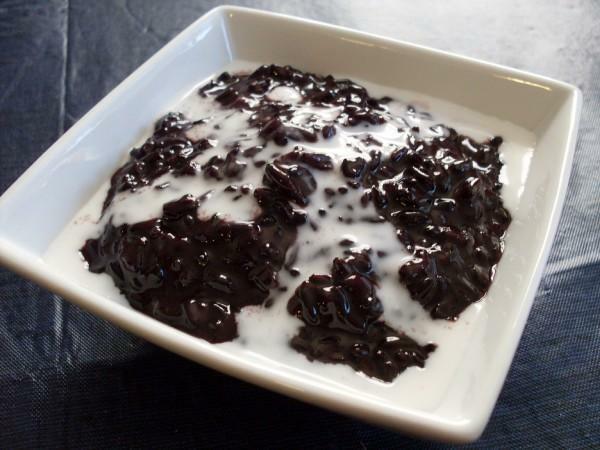 If you can’t find any kind of black rice, substitute brown rice (not quick-cooking) — it will result in a thicker, light-colored pudding but will still be delicious. Bring rice, 3 cups water, and 1/4 teaspoon salt to a boil in a 3 to 4-quart heavy saucepan, then reduce heat to low and simmer, covered with a tight-fitting lid, 45 minutes (rice will be cooked but still wet). Stir in sugar, a scant 1/4 teaspoon salt, and 1 1/2 cups coconut milk and bring to a boil over high heat, then reduce heat to low and simmer, uncovered, stirring occasionally, until mixture is thick and rice is tender but still slightly chewy, about 30 minutes. Posted in Asian, Breakfast, Sweets, Vegetarian & Vegan and tagged black rice, Breakfast, dessert, pudding, recipe, vegan. Bookmark the permalink. This sounds really good! I think i will make it but maybe substitute the sugar with honey! Thanks for the great post! Have you tried adding any dried fruit with this.. it looks delicious!! Could have used half the sugar… It was delicious, but way to sugary! !!!!!!!! Thanks for the feedback! 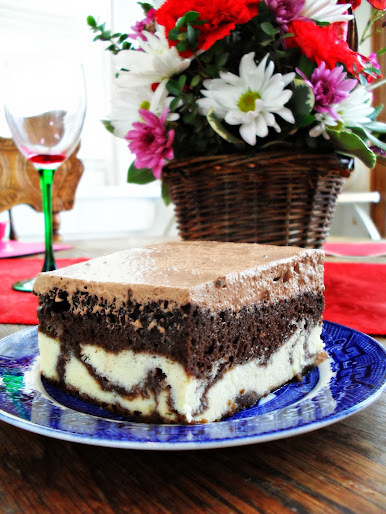 I do have quite a sweet tooth and for me, the sweeter the better. I hope you like it better with less sugar next time!